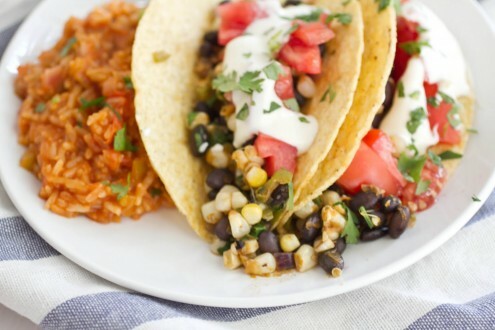 Black Bean and Corn Mole Tacos | Naturally. I had another great tomato post ready to go today but then I realized I had never shared this taco recipe. These tacos are an inspiration of two things. One, the sweet corn and two, this great mole seasoning I got at the Spice Shop in Breckenridge during my most recent trip. Since I don’t dry rub a lot of meat, I wanted to come up with a different way to use the seasoning. I used the sweet corn, added some beans for protein, and turned an ordinary veggie mixture into one awesome taco. This mole seasoning had such great flavors that I ended up eating the mixture left over the next day on eggs for breakfast and rice for lunch! Don’t fret if you can’t find mole seasoning that you think would work, I’ve included a link into a recipe online that had similar ingredients to the one I used! Heat olive oil in skillet over medium heat. Add in finely diced onion and the peppers and cook until onions become slightly translucent. Add in corn and continue to cook for another 3-4 minutes or until corn is cooked through. Finally, add in the black beans and mole seasoning. 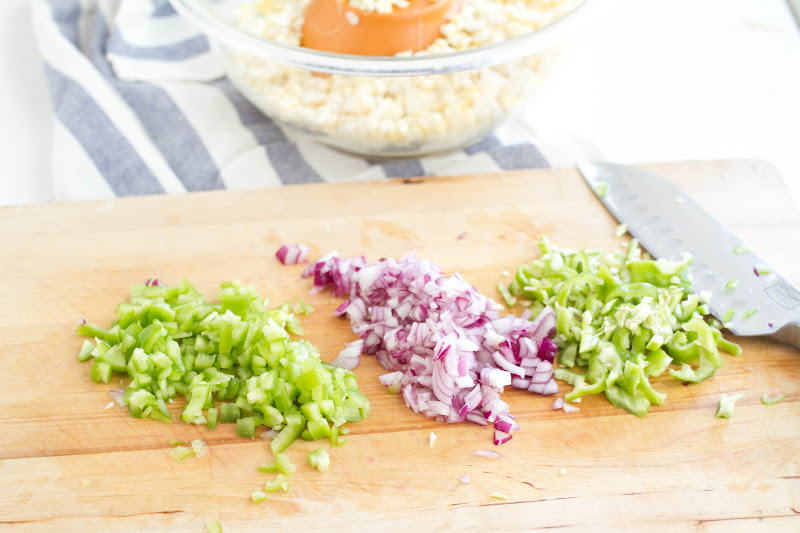 Cook for another 3-4 minutes so that the beans heat through and the seasoning becomes fragrant. Stir in cilantro and turn off heat. 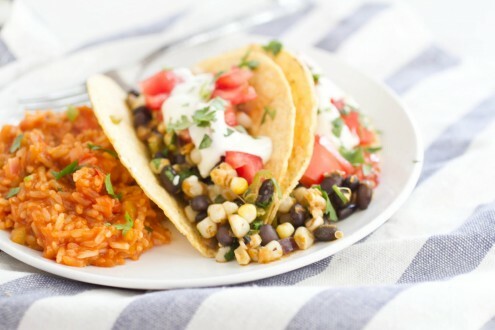 If using a corn tortilla, place in a clean skillet and heat on both sides until the tortilla becomes pliable. 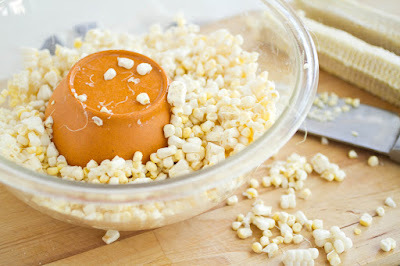 Spoon in corn mixture and top with your favorite toppings. 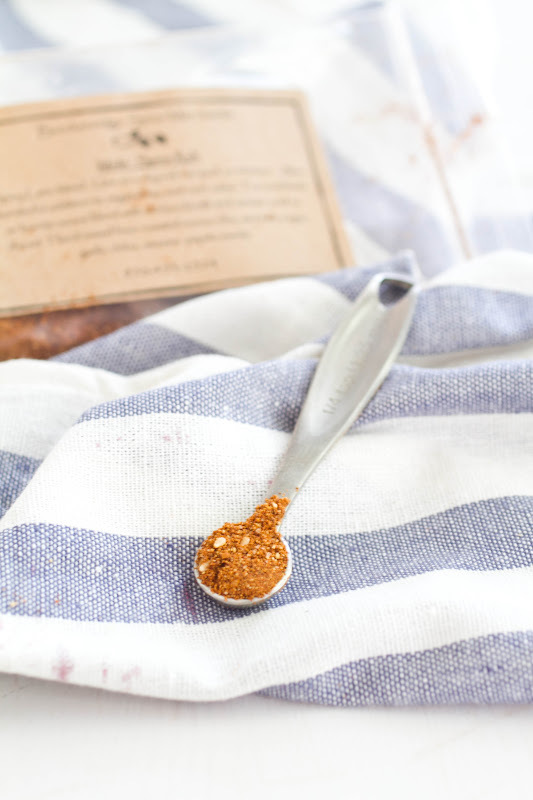 *make your own mole spice blend: recipe here! I’m also interested in the rice recipe. Looks amazing! I’m working on finding it 🙂 I “misplaced” a few recipes when I started my new job…. Looks delicious. We love anything taco around our house come dinner time. Thanks! Looks great! 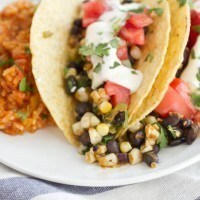 I love vegetarian tacos! This looks great. Black beans are one of my favourite subs for anything meaty. Hi! The rice in these pictures looks incredible! Do you have the recipe for that rice?? I would love to try it! I just found your site, LOVE IT! Do you have a recipre for that rice? I’ll be making those tacos soon! Made this tonight – your website is such an awesome find. My husband – who is not hot on going “veg” – had FOUR servings! It was delish! We added a jalapeno to the mix and subbed in Cajun seasoning (we couldn’t find mole either). Thanks for all your awesome recipe ideas! As I Always say, vegeterian is the way to go!